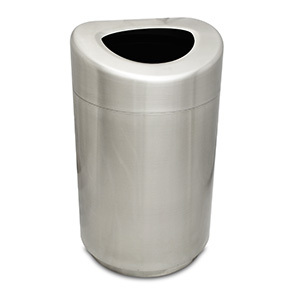 Stylishly promote litter free areas with these Oval Open Top receptacles that are complementary to a variety of décor styles and color palettes. The brilliant design features sanitary hands free drop-in disposal with an arched top surface that effectively prevents any undesirable debris to be left upon it. These receptacles invite enough attention to encourage proper waste disposal while seamlessly blending in with its décor. 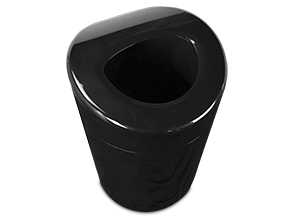 With a large 32 gallon capacity, easy lift-off access to liner, recessed base and durable finishes these imported Oval Open Top receptacles are ready for high volume locations.